Quick Lessons for Fitness, Mental Clarity, Pain Relief, and Vitality. These 5 to 10-minute long Online Streaming animated video exercises target specific body areas to free up movement, relieve pain & increase range of motion. (39 Streaming Videos). These are perfect for anyone who spends a lot of time sitting at a desk or in front of a computer. 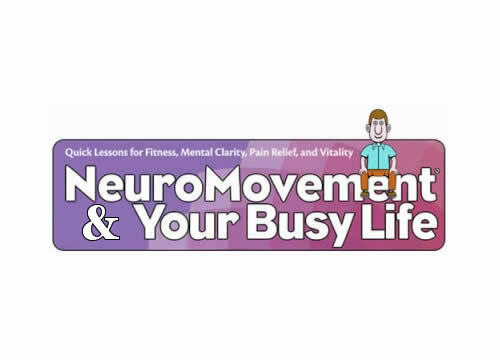 NeuroMovement® and Your Busy Life: Quick Lessons for Fitness, Mental Clarity, Pain Relief, and Vitality is an online program (formerly known as Desk Trainer) with an animated personal trainer that will guide you through a number of exercises while sitting at your desk. 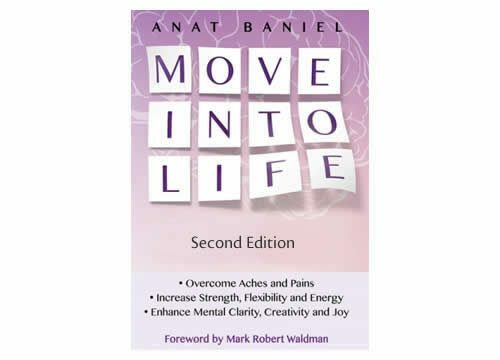 We invite you to join the many people who have found relief from pain and increased their mobility in remarkable ways through the Anat Baniel Method® and NeuroMovement®. Tap into the enormous capacity of your brain to create new patterns that will increase your strength, flexibility, and stamina. You will reach new levels of well-being and learn how to move pain-free. The Your Busy Life Online NeuroMovement Program includes 39 unique 5-10 minute video lessons that will relieve Repetitive Strain Injury (RSI) pain, protect against injuries, improve sitting at your desk for long periods of time, and enhance your fitness and productivity. These easy lessons can be done at your desk at work, at home, or while you are on the move. There is no special equipment required. Each lesson is easy to follow, and the outcomes and benefits are immediate and grow more with continued participation. The videos are streaming from our website and require an internet connection to view. The video exercises can be viewed on a computer, tablet, or smart phone. This is a one-time payment for ongoing access to this product for one person, for the life of the product. Log in and do an exercise as often as you wish, all for this one low price.